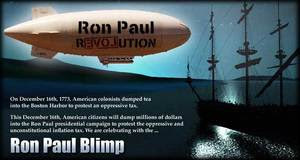 The Ron Paul Revolution is aching for a blimp. Even though its stated goal had been $350,000, it's raking in nearly half a million in donations. 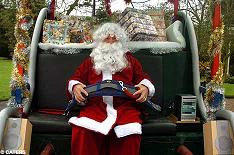 Hey Santa, Are You Wearing a Seat Belt? Santa, who's thought to be capable of "harming" himself by not wearing a seat belt at 5 mph, feels the wrath of the Nanny State.